The Haddon Heights School District Board of Education approved a contract with the Merchantville School District this month that would add Merchantville to Barrington and Lawnside as communities that send students to Haddon Heights High School, the district confirmed. 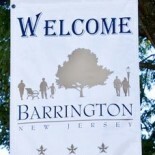 The move — still pending final approval — could save the Barrington School District and its taxpayers about $121,000 per year, according to an in-depth study financed by Merchantville School District. Barrington is projected in coming years to send about 263 students per year to Haddon Heights High School, the study said. Lawnside will send about 120 per year. Combined with Haddon Heights students, the high school is currently just below its functional capacity of 819 students. The addition of Merchantville’s expected 78 students per year — about 20 per grade level — would put the school at about 838 students by 2017-18, according to the Merchantville report. The study also notes Merchantville students attain state testing scores similar to their counterparts in Barrington and Lawnside, so the proposal would not impact the educational opportunities for any students. Who bears the cost of busing to the High School? Merchantville or Haddon Heights (and will that cost be spread over the all the supplying towns). I don’t see how adding students that still doesn’t exceed the 2010 student total will save Barrington money. Will this move require hiring of any new teachers? Maybe a followup article on how this savings would pan out would be great. This entry was posted on September 16, 2013 by Barrington Bulletin in Region, Schools and tagged haddon heights, merchantville.